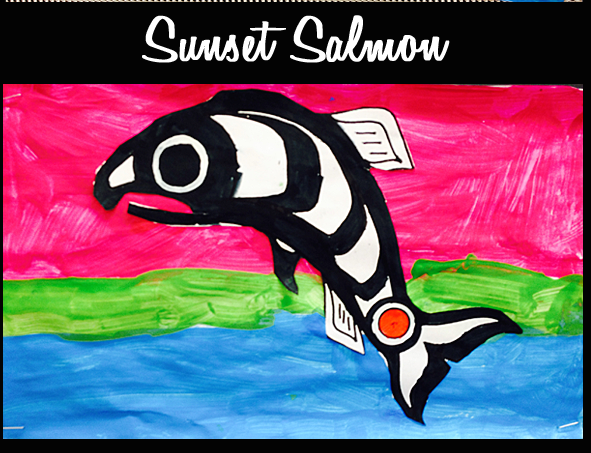 Our school is making art cards for one of our fundraisers. 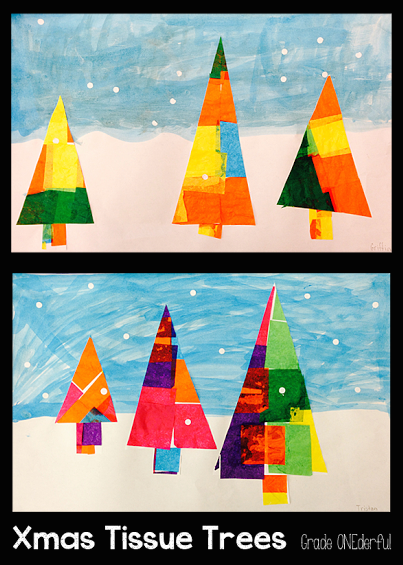 Each class is creating beautiful, non-seasonal art that will be professionally reduced into greeting cards. I was a bit uncertain what we were going to do at first, but after talking to some very talented teachers in my school I came up with something simple yet effective. I'm not sure what you'd call it. 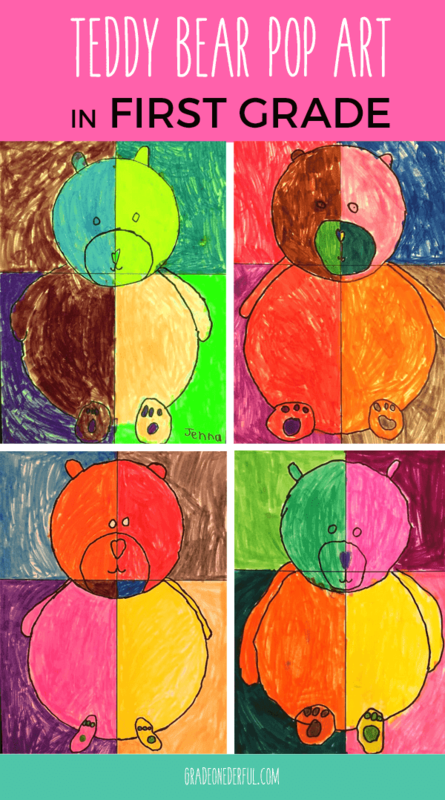 Maybe Teddy Bear Pop Art? Before we started our pictures we did a practice guided drawing. It did NOT go well, as most of my kiddies had a lot of trouble drawing circles. That was when I decided to switch over to tracers. We were given special paper but obviously you could do this with any paper of your choosing. I drew the grid lines myself using a black sharpie. I called the kids over one at a time to trace their two circles. They used a pencil and I wanted to oversee it to make sure they lined them up correctly. Once the circles were drawn we finished the bears through a whole-class guided drawing lesson. After that the kids coloured in the bear sections with their felt pens. Then they coloured the backgrounds in a contrasting colour. The final step was tracing over all the pencil lines with a black sharpie. This project took us almost a full day but I think they look fabulous and can hardly wait to see the greeting cards. 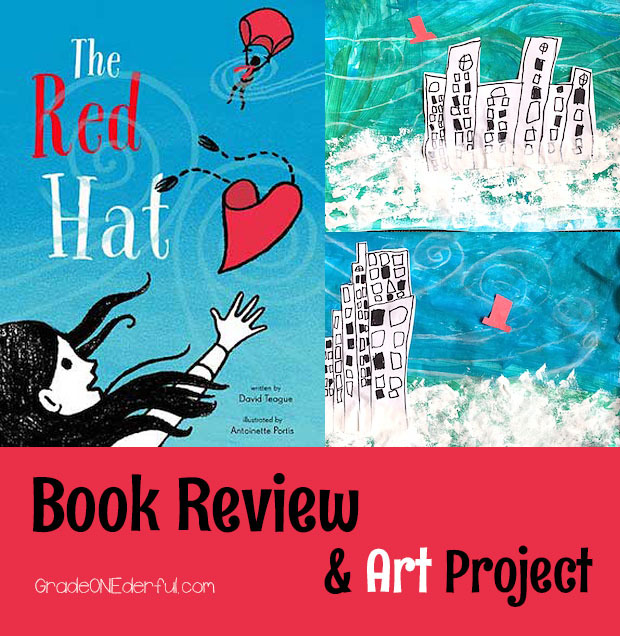 Looking for more fabulous art projects? Click the pics below to see the favourites. They look great! We are doing the art cards, too. This is the second year for our school. Last year they turned out great and were tremendously popular. Thanks, Deb! I'm pretty happy with them. I can imagine they'll be very well received:) Are you going to post yours on your blog? I'd love to see them. Those pop art bears will make great cards. Thanks! I think so too. I can hardly wait to see them. They turned out really well. I get it though. Circles are not easy for little people to make.